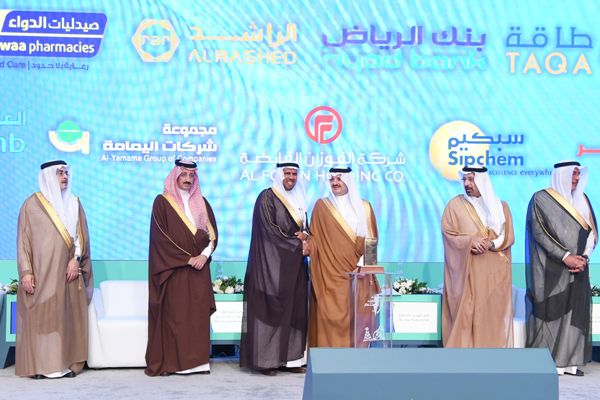 Saudi International Petrochemical Company (Sipchem) has sponsored the 5th Al Ahsa Investment Forum 2019, which highlighted Al Ahsa region's investment opportunities. The two-day event concluded today (March 21) at the Al Ahsa InterContinental, Al-Hofuf. The forum was held under the patronage of HRH Prince Saud bin Naif bin Abdulaziz Al Saud, the Governor of eastern region, and with the attendance of a number of ministers headed by the Minister of Energy, Industry and Mineral Resources and the Minister of Commerce and Investment in addition to the Governor of the Saudi Arabian General Investment (Sagia) and many decision makers, academics and Saudi and foreign businessmen. The forum is considered as a platform for dialogue, interaction and cooperation between the political and economic decision makers on one hand and the private sectors pioneers, exerts and academics on the other. The event was aimed at shedding the light on the comparative features of Al Ahsa investment environment by highlighting its outstanding success elements with a summary of the various investment opportunities in the public and private sectors. Engineer Abdullah Al-Sadoun, president of shared services in Sipchem, said: “Our sponsorship of this forum is reflecting its realisation of its role in encouraging all aspects of investments; industrial, touristic or cultural. “Al Ahsa is one of the important and featured regions because of its distinguished geographic location, and young and creative well-trained workforce,” he added. The forum this year is distinguished by holding seven dialogue sessions and workshops. The first day is dedicated to shed the light on the investment opportunities and privatization in the field of energy, the future career opportunities in Saudi Arabia and major promising projects in the kingdom.